NOUSAKU HAS BEEN MANUFACTURING BELLS SINCE 1916 IN IT'S TRADITIONAL JAPANESE BRASS FOUNDRY. 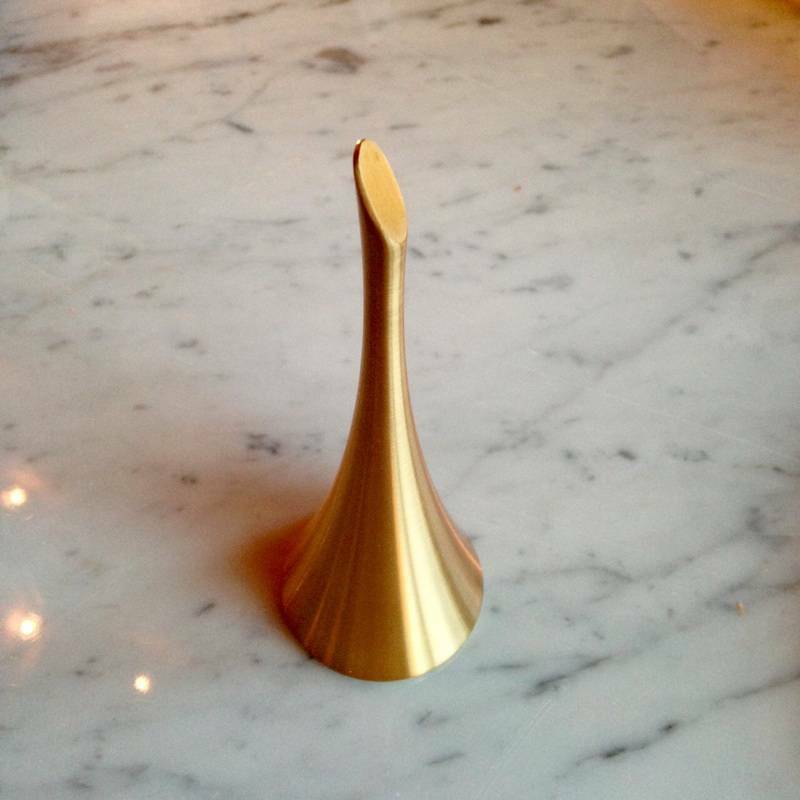 WITH A BEAUTIFUL SILHOUETTE AND BRUSHED BRASS FINISH THIS BELL IS A GREAT ADDITION TO ANY TABLE. THIS BELL HAS AN EXCEPTIONALLY PURE AND LONG LASTING TONE. YOU'LL HAVE TO STOP INTO THE SHOP TO TEST IT OUT YOURSELF! RUBY WILL SHOW YOU HOW TO GIVE OUT TREATS EVERY TIME YOU RING THE NOUSAKU BELL... YOU'RE GETTING SLEEPY... VERY SLEEPY.